Arguably one of the most beautiful countries in the world, blessed with a very unique location Morocco is one of the very few countries in the world where you can basically experience all the diverse geographical features and climates, not to mention the extremely rich cultural treasures you can get to find there. In this piece we would like to represent you to this beautiful, alone-standing country that’s called Maghreb by the Muslim-Arabic world. Many people think that Morocco is just as Arabic as other Northern African countries, but the fact of the matter is, that the country already had a high number of the so-called Berber native tribes along with their own culture by the time of the first Moorish-Arabic conquests back in the 9th century. The assimilation of the tribes didn’t go as successfully as in the case of other nations. In fact to this day, most of the Atlas, Rifi and Amazigh tribes have managed to keep their cultural identity as well as their own language. This is why the country is a melting pot of different cultures. Not many people know that Morocco also has a substantial Jewish heritage. Among the modern conquests many nations have left their mark and their cultural effects on Morocco, especially the French and the Spanish in the Northern regions. Morocco is a large country and it’s blessed with an exceptional location, having its shorelines both with the Mediterranean Sea and with the Atlantic Ocean. This makes the country a very important centre of international sea transport. another key port city of Morocco Tangier has a stellar location, being by the Mediterranean Sea, facing the British Gibraltar. It receives a huge amount of traffic in form of tourists visiting from Spain or Gibraltar and also it deals with a great number of workers coming from and going to Spain. Tangier has been a Spanish colonial city, therefore you can spot lots of Spanish style houses here, especially in its old downtown area. There are several fantastic beaches nearby Tangier, including the picturesque Al Hoceima Beach. 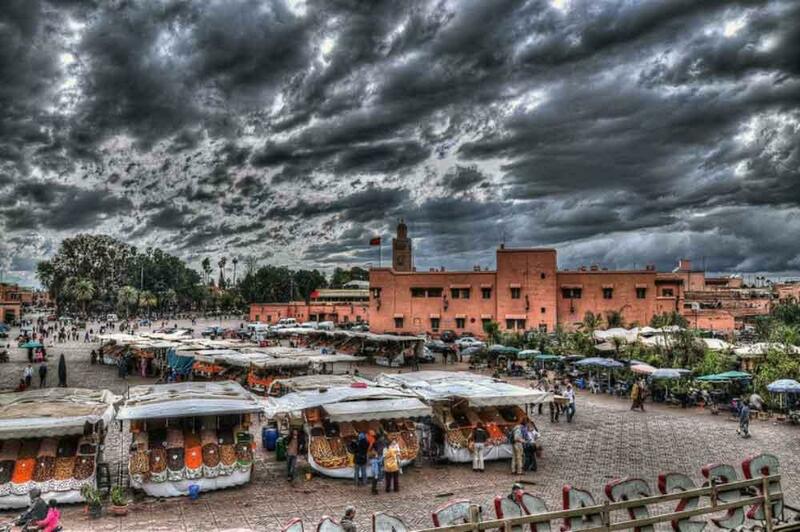 the centre of tourism Marrakech deals with the highest tourist traffic at the moment. It has many fantastic sites, a beautiful old town centre with souks and packed with Moroccan style hotels otherwise known as Riads. Marrakech has become one of the top holiday spots for the celebrities who like to visit there especially during the autumn and spring. Marrakesh has also lots of historical sites such as the beautiful Al Badi Palace and it also has its modern city centre which are equipped with modern shops. this former fishermen’s village is basically the seaside extension of Marrakech today. As it only takes about 40-45 minutes to get here from Marrakesh it’s also a centre of tourism and this is also where locals go if they want to take a dip in the ocean or just watch it. The town is therefore packed with villas, it has a nice little old village centre and an old bastion. It’s definitely the second most important destination both culturally and historically in Morocco and a must-visit place for everyone who travels to Morocco. Its huge historical old-town or Medina is the largest in the world, a real labyrinth where people live and sell their goods and where donkeys keep transporting the goods to this day. 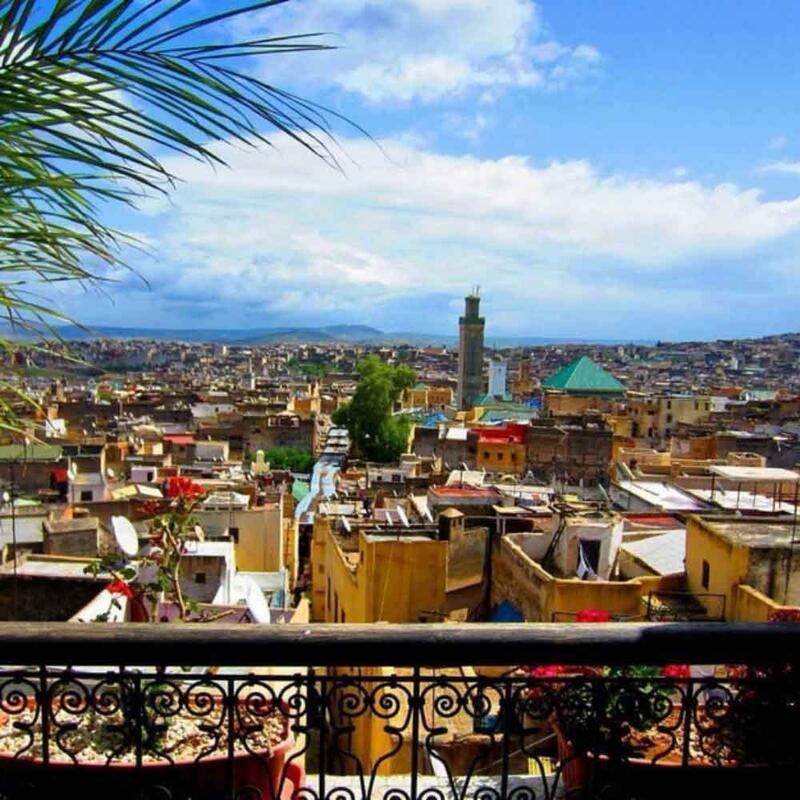 the capital city of Morocco is so often overlooked but it’s in real one of the most favourite destination. The downtown has a distinct European atmosphere, it’s lovely, well-kept and modern. In addition the city has a fantastic blue-white old town area (Medina) a fantastic bastion giving picturesque views to the sea and a small city beach. It’s a charming place and it’s also great for not being so full of tourists. located by the Atlantic Ocean the city is a real surfers’ paradise. Agadir is down in the South which means that it has a warm climate all year long. It’s one of the most popular beach side resorts with lots of visitors from all over the world. 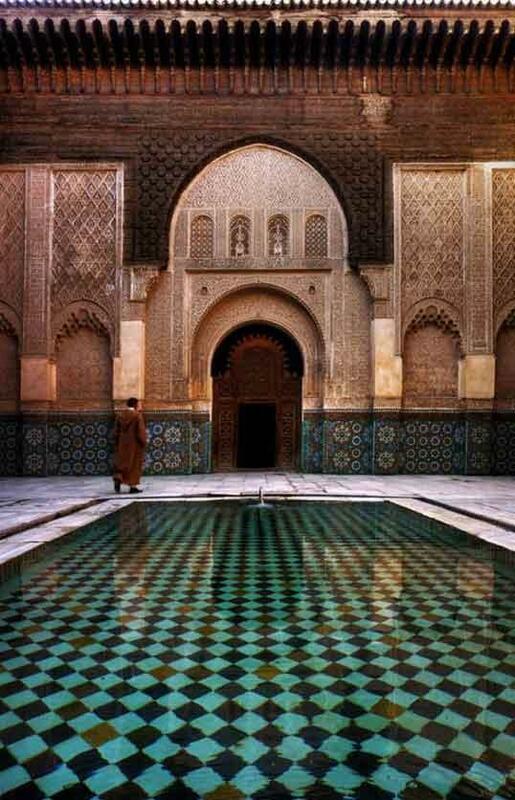 Morocco has a larger than average number of UNESCO World Heritage Sites and each one of these is worth a visit. Let’s enlist these and then more important sites to visit. Meknes Historical City: Meknes is about half an hour away from Fez, therefore it’s also a great place to visit from there. Its historical old town is small but looks wonderful. Ait Ben Haddou – Ksar: One of the most popular sites for daily excursions from Marrakech, Ait Ben Haddou is an alone standing site with its ancient sand palaces. It’s so unique that it served as a movie spot for such important series and movies as the Game of Thrones. Medina of Essaouira: as written above Essaouira is popular for daily excursions and its Medina is picturesque. Medina of Fez: Fez has the current largest Medina in the world (meaning actual Medina where people still actively live and work to this day). It’s really a must-visit place. Medina of Marrakech: this medina is not as large as the one in Fez but it’s definitely very charming with its terracotta red buildings, tons of shops and marketplaces. The celebrities have recently made Marrakech their main destination, since then there are a growing number of high quality stores, spas and cafés opening in the region. You can find fantastic Riads in here. Medina of Tetouan (formerly known as Titawin): Tetouan is very close to Tangier and it’s an ancient seaside city. It’s often spot for daily excursions from Spain. El Jadida Portuguese town (formerly known as Magazan): this city is especially unique housing lots of Old Portuguese buildings and it has a real beautiful downtown area. Its underground old style pond is a must-see. Rabat – Shared Heritage (Modern Capital and Historic City): for its fantastic combination of the new with the old. I have already said a few words about how unique Rabat really is. Just to add, it’s also home to some of the best seafood restaurants in Morocco. Desert tour: if you are in Marrakech, there is no way you shouldn’t visit its beautiful desert which is just a few hours away from the city. Desert excursions are extremely popular, mostly include a meal that’s cooked out in the desert too. Atlas tour: Marrakech also has the large Atlas Mountain region nearby, which represents with tons of gorgeous natural wonders, such as the magical Ouzoud waterfalls, the picturesque Todra Gorge and Dades Gorges along with their green valleys and magnificent sites. Dar Tassa and other sites also offer fantastic locally made food for the visitors. Chefchaouen: high in the Atlas Mountains there is a small town that’s called Chefchaouen and it has recently become one of the top visited places in Morocco. Its unique blue buildings can thank their colour to the will of keeping the mosquitoes away. 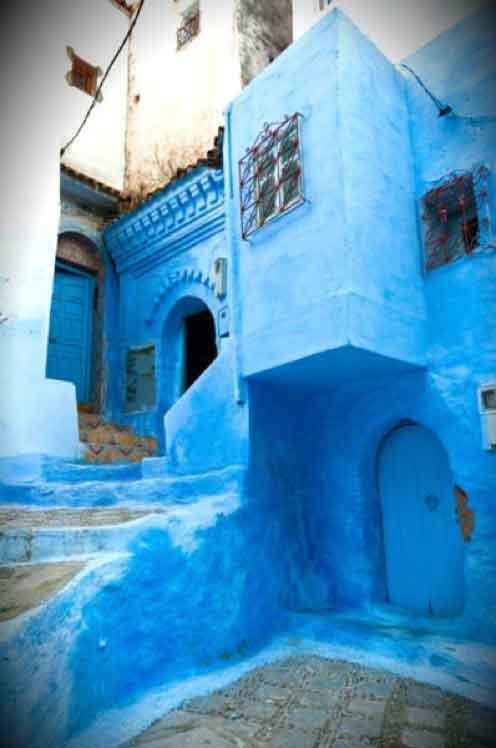 Chefchaouen is pretty close to Fez and Casablanca. Morocco is a real melting pot of diverse tribal and the Islamic Arabic cultures, most of its cities were colony centres of different countries (Spain, France, Portugal) therefore the country was also influenced by European cultures. Morocco has some of the world’s best cuisine. Its national meals which include the famous Couscous and Tagine are all a must-try when you are in Morocco. If you are looking for authentic artefacts such as pottery, handmade textiles, rugs and leatherware or lovely Arabic style lamps and other bronze and copper decoration items then this is a great place for you to be. Moroccan interior design is so popular that tons of stars take its elements and design their home in Moroccan style. the country has a pretty good long distance bus and railway system. Within cities its best to catch a cab. Do not visit during the Holy Month of Ramadan: this encompasses 30 days of fasting. Most stores and touristic sites work with limited opening times and people do not eat or drink during the day. Out of respect, it’s best not to visit in this period. Get a local guide: it’s not expensive but definitely very useful. They would also keep away all the rip-off artists and scammers. Be aware: that you will have difficulties when it comes to paying with credit or bank cards. You will also need to find a good place to exchange money. Stay in a Riad as this is the closest form of experiencing Moroccan hospitality and the Moroccan way of life including homemade food. Dress and act modestly, respect the local culture.